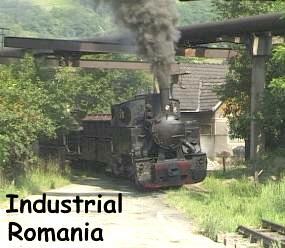 A video about narrow gauge railways in Romania it may be, but it does not feature the usual forestry railways. 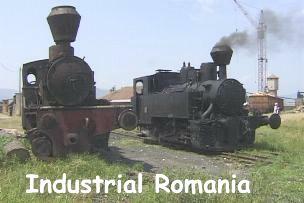 This is a video about other industries in Romania that used narrow gauge railways in 1998, and in some instances still do in 2005. In some of the locations, it may have been the first time that the railways had been filmed, or even visited by western enthusiasts. The video was filmed mainly in 1998, and the footage is supplimented by some older non digital clips from 1993. There are a total of 7 lines seen at work. Mostly 760mm gauge, but other gauges such as 700mm, and 790mm are also represented. The L45H class hydraulic BoBo diesel has become the mainstay of the motive power in the country, but we do see a couple of locations that still use Resita steam locos, and one or two other types of loco. 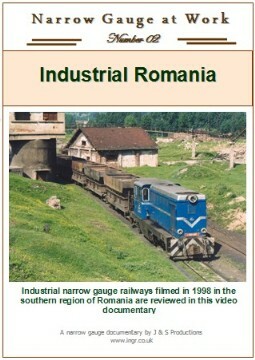 In addition to the operating railways seen, there are numerous other items of railway interest throughout the video. Coal train returning to Sotanga power station, over a combined road/rail river bridge(Date: 1998). Probably the most familiar railway on the video. The coal railway serving the power station at Crisior has been known to enthusiasts for several years. When diesel fuel is not available, it still regularly uses steam traction (Date: 1998). 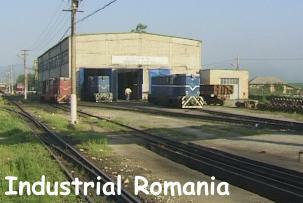 The loco sheds for the 44km railway at Govora, serving a sodium factory. 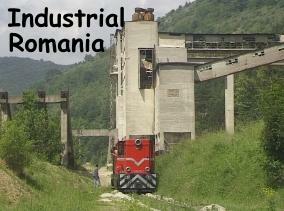 3 of the L45H locos prepare for the days work hauling limestone from the quarries at Bistrita (Date: 1998). The nearest this video gets to a forestry railway is the timber yard at Orastie. 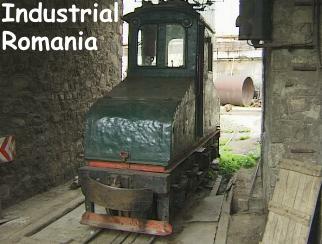 A Narrow gauge Resita tank loco hauls standard gauge wagons around the wood yard (Date: 1998). 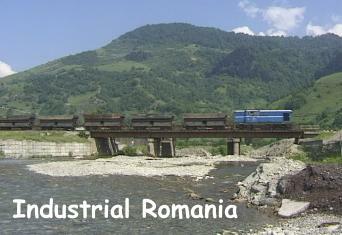 Another railway which has been visited a few times in the last couple of years is that at Hunedoara. 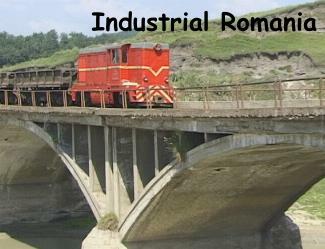 Traversing several impressive bridges, and clinging to the hillsides, it is visually the most impressive narrow gauge railway in Romania (Date: 1998). One of the AEG overhead electric locos at the paper factory at Busteni. Not in use in when visited in 1998, it is seen in action briefly in 1993. Also worked by the L45H BoBo locos, the double tracked main line at Lonea transports coal to a washery further down the valley near Petrosani (Date: 1998).